Regardless of how information is presented, it will be either objective or subjective. Everyone, especially writers and journalists, would benefit from a strong grasp on the difference between the two. This article seeks to show how you can tell whether information is objective or subjective. Based on hard and measurable facts Based on opinions, assumptions, beliefs, etc. An objective statement is a statement of fact. It does not have any undertones or flavor, nor is it tainted by hints of personal preference. Any information based on objectivity is backed by reliable and verifiable facts. Objective information is not relative, does not vary, and seeks to be as truthful as possible. Objectivity is important when making decisions – from small choices to life-changing ones. An objective individual will not disregard proven facts, but instead, will be guided by them. One of the best places for objective information is print and TV news reporting. They are expected to present just hard facts without offering their own opinion. However, news shows and newspapers feature editorial sections as venues where opinions can be brought out and discussed further. Encyclopedias, almanacs, and scientific journals are also good examples of objective writings. A subjective statement is information typically based on one’s opinion, interpretations, beliefs, and assumptions about facts. Subjective information is never backed up with real evidence. Statements that begin with the words “I believe” or “I think” confirm the lack of evidence right off the bat. As a result of analyzing facts, subjective statements typically contain bias, judgment, suspicion, rumor, or individual preference. Subjectivity usually, if not always, brings about wrong information, half-truths, or worse, full-on lies. Editorials on TV and in newspapers are subjective in nature. While it is true that the opinions presented are based on reported facts, they are still subjective viewpoints applied with the presenter’s deeper interpretation of the facts. Blogs, tabloids, online forums, and biographies are also subjective for the most part. When applied to decision making, the results of subjective thinking can be undesirable. Solutions reached through unreliable and poorly researched facts are less likely to prosper. 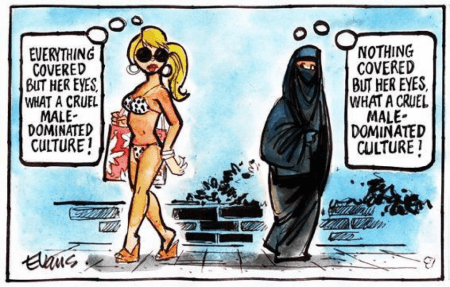 So what’s the difference between objective and subjective? Whether the information is presented in verbal or written form, the main difference between objective and subjective is determined in the manner by which the statements are presented. 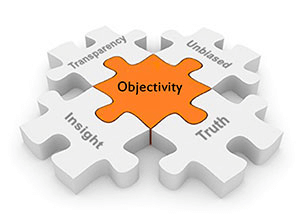 Objective information is based only on observable, measurable, and often irrefutable facts. Subjective information, on the other hand, comes from opinions, judgments, and mere assumptions. A person who presents only objective information would ideally be free of bias. Subjectivity is the complete opposite; that is, it is usually characterized by predisposition, beliefs, or even rumor. Objective information is quantifiable, describable, and exact. However, it can turn into a subjective statement when hard data is interpreted and given a deeper explanation. News reports, encyclopedias, and almanacs are usual sources of objective information. Subjectivity is the norm among editorials, blogs, online forums, and tabloids.